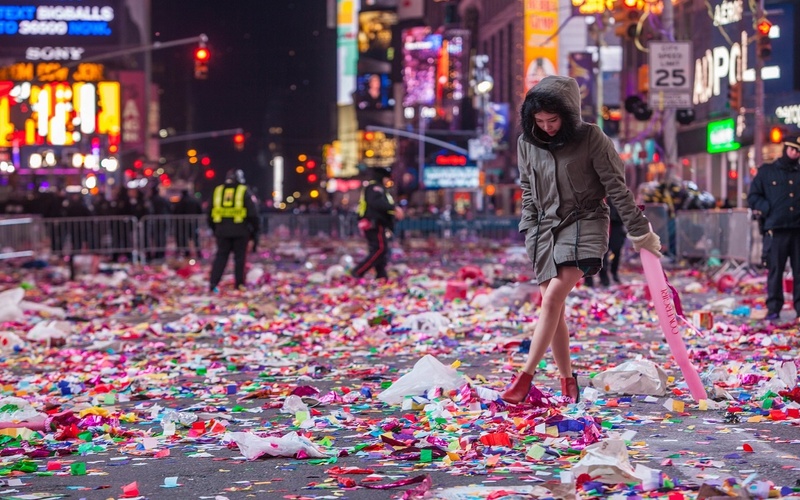 How to celebrate New Year’s from anywhere in the world. We can’t believe it, but it’s already time to wrap up 2016 and look ahead to 2017. A lot can happen in a year - joyful moments, stressful ones, a few tough decisions, and maybe new chapters beginning or ending. All around the world, different cultures ring in the New Year in different ways, and it certainly doesn’t all happen on the eve of December 31st. In fact, many regions celebrate the New Year in September, or even April. So, grab a glass of champagne, and let’s toast to 2017 with the help of these unique celebrations from all corners of the globe. Enjoy a 3-day-long water festival in Thailand. Got plans for the 13th, 14th and 15th of April? You might want to cancel them, because nothing beats 3 whole days of water fights. That’s right - this is exactly how they celebrate the new year in villages and cities across Thailand. The symbolic celebration is called Songkran, which literally translates to “astrological passage” and signifies a transformation into the new year. Streets are closed off as young and old alike take part in the water fights, with only a few rules to follow: always use clean water, make sure it’s not hot, and most importantly, come ready to get soaked. Songkran participants also practice several symbolic traditions over the course of the 3 days, many also involving water. Visiting temples and offering food to the Buddhist monks is common, along with pouring water over Buddha statues to represent purification and cleansing of sins. Many young people will also pour water over the hands of their elders as a sign of respect. Especially in central Thailand, releasing animals such as cows, buffalo or fish is done as a good deed during this time. Whether you travel to the beaches or the inner cities, Songkran is without a doubt a New Year’s party you don’t want to miss. Blow a trumpet made of a ram’s horn in Israel. You’ve probably heard of Rosh Hashanah, the Jewish New Year, but what you might not be as familiar with are some of its unique traditions - especially those taking place in Israel. During the 2 day holiday, which falls in September or early October, almost all businesses are closed. People head to synagogues for long services, during which special prayers and songs are recited to honor Jewish history throughout the country. If you visit Israel during Rosh Hashanah, expect to see a few people by the river, shaking out their pockets - it’s a Jewish custom called tashlich that represents casting one’s sins into the water. One of the most important traditions of Rosh Hashanah involves blowing the shofar, or the ram’s horn trumpet, no less than 100 times. There are many reasons for blowing the shofar: it serves as a reminder to Jews to dedicate themselves to the Torah, it’s a symbol of God’s ultimate sovereignty, and it’s even a primal scream of the soul - just to name a few. Head to the synagogues in Israel next September to experience this iconic symbol of Rosh Hashanah first hand. Throw plates and gain friends in Denmark. Did you know that breaking plates can actually bring you more friends? Neither did we, until we heard about this awesome way that Denmark rings in the New Year. All you need are a few unwanted china dishes - bowls, plates, cups, all are welcome - and a bit of arm strength. On the eve of December 31st, bring some good luck to the homes of friends and family by hurling your dishes as hard as you can, right at their doorsteps. The bigger the pile of china, the more friends they’ll have in the new year. Talk about a stress reliever! Relax in an herbal bath in Sri Lanka. After breaking all those plates in Denmark, you might be in the mood for a slightly more relaxing New Year’s experience. If this is what you’re looking for, head to Sri Lanka for a nice soak in one of its many famous herbal baths. Known as Avurudu, the Sri Lankan celebration takes place in April and is considered a national holiday for both Sinhala Buddhists and Tamil Hindus in the country. Customs are typically focused around agriculture and giving thanks for the harvest. One of these customs involves bathing on the last day of the year to celebrate and acknowledge its conclusion. The baths usually contain herbs such as mustard oil or gingelly oil for purification, which are traditionally anointed by an older person. Exchanging presents, playing various outdoor games, and preparing special dishes such as hath maluwa are also common activities during Avurudu celebrations in Sri Lanka. Hit the beach in Brazil. Undoubtedly boasting one of the most famous New Year’s celebrations in the world, Brazil does not disappoint when it comes to a wild party. Each year, Rio de Janeiro’s sandy beaches (especially the well-known Copacabana) fill with millions of excited people from all over the globe for a night of incredible fireworks, thumping music, and delicious Brazilian food. Last year, over 2 million people graced Copacabana beach, and we’ll bet that number is even higher this year. For some extra good luck in the New Year, try out some Brazilian lentils and rice (a local favorite), and be sure to wear white when taking part in the celebrations. Whether you’re looking for a crazy, music-filled night on the beaches of Brazil or a soaking wet water fight in Thailand, the possibilities are truly endless when it comes to ringing in the New Year around the world. Of course, sometimes nothing can beat spending a cozy night at home, reflecting on everything you accomplished in 2016. No matter where you are this December 31st, take a moment to be thankful for what got you there - and where you might go next year. We hope that it involves a whole lot of language and culture learning. From our family to yours, Happy New Year, and cheers to 2017!